Many children have favourite teddies, but Sean and Sophie Kearns’ bears carry extra special significance. Theirs have been a source of comfort, but also a symbol of hope, through a turbulent and scary time in their young lives. Their mum, Kerry, was diagnosed with breast cancer a year ago, aged 41, when Sean and Sophie, pictured above, were 10 and eight respectively. “Diagnosis is a shock, it’s uncertain, it’s scary, it puts you on a journey you never thought you’d have to go on. You’re unsure about your future and life as you know it gets completely turned on its head,” Kerry says. Mummy’s Wish chief executive Serena Beirne says watching their mums go through cancer treatment can be the most frightening experience of children’s lives, “not least because the person whose comforting words and warmth they need most can’t be with them”. 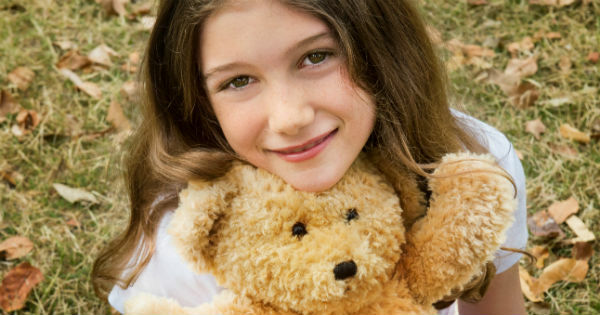 Her Queensland-based charity helps keep children close to their mums through this tumultuous time by giving them Talking Comfort Bears. Mums can record a voice message on the bears for the times they are away from their children to undergo or recover from treatment. Kerry says the bears came to her children at just the right time, when they “needed something to hold on to”. Her first round of chemotherapy was debilitating, so her husband organised to take Sean and Sophie on a holiday during her next treatment. “Because the children were away from me, I just sat on my own and recorded (the messages),” she says. “I said, ‘Sean, Mum loves you, I’m thinking of you, you’re in my heart, give the bear a big cuddle and think about me’. And to Sophie, I said, ‘Hello gorgeous, you’re with me, love you always, sleep well, talk to you tomorrow’. It’s just a very personal connection you have with your children that you can put in the bear. Mummy’s Wish is calling for help to bring more children like Sean and Sophie the comfort they desperately need when their mums are battling cancer. Every time someone buys a Talking Comfort Bear as a Christmas gift for a loved one or friend between now and December 10, a child of a cancer-fighting mum will also get one. As well as the bears, Mummy’s Wish provides fast practical support to mums and mums-to-be fighting cancer. All care services and hospitals in Queensland, Sydney and the NSW Central Coast refer to the service, and help arrives within 24 hours of a referral. It can pay for and arrange for help such as house cleaning, tutoring, emergency childcare, grocery vouchers, hospital car parking and meal deliveries, and lend iPads for family Skype sessions when they are separated because of treatment. It also advises families on managing lifestyle changes associated with a cancer diagnosis, where to go for psychological and other help and support and, for terminal patients, ways to create lasting family memories. “Mummy’s Wish come to a side with you that not many people can comfortably come to. They don’t shy away from it; they’re there,” says Kerry, whose cancer is now in remission with a good long-term prognosis. 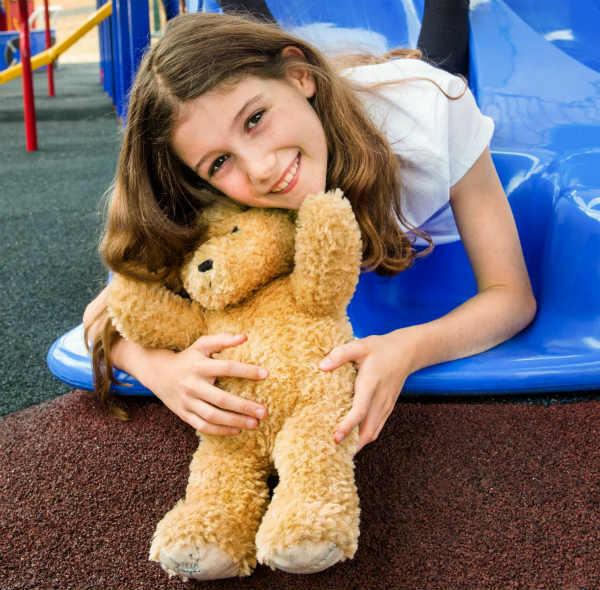 You can help other families like Kerry’s by buying a Talking Comfort Bear for $40 at Mummy’s Wish, with a $10 postage fee Australia-wide for up to three bears. For every bear bought, another will be sent to a child of a mum with cancer. Orders need to be placed by December 10 in time for Christmas.